Please join us on April 11th, following STARKBIERFEST! for our very special Brewmaster’s Starkbierfest Dinner as we treat our guests to an “Old World” marriage of culinary and brewing arts, from Chef Shaun’s Bavarian kitchen and Matt & Brian’s Brauhaus. We will also have a special guest, Herr Norbert Dill, former Executive Chef at the Schnitzelbank Restaurant in attendance. Dinner will be paired with Bier, culture, history and conversation. Course 1: Allondigas – Savory German meatballs with Landesbrot and sweet pepper sauce. Course 2: Bread dumpling salad – Thin slice Knödel tossed in a tangy vinaigrette and topped with radish, white onion, and watercress shoots. Course 3: Pfannfisch – Pan Seared Trout with fried potatoes and leeks. Finished with a mustard cream sauce. Course 4: Sauerbaraten – House brined and slow roasted beef chuck roast with pretzel Knödel, roasted purple Brussels sprouts and a sweet and sour gravy. Course 5: Bienenstich Kuchen – “bee sting cake” Yeast leavened cake filled with sweet pastry cream and topped with sweet almond crust. Sign up NOW using the link below or at the Brewery Taproom. Seating limited to the first 26 people. Standard price: $60 + tax. Gratuity included. Stammtisch price: $55 + tax. Gratuity included. Saturday, April 6th, from 3-9 p.m.
Cedar Springs Brewing Company is proud to host the fourth annual STARKBIERFEST! as we release our Küsterer Pale Bock and several other limited release beer! 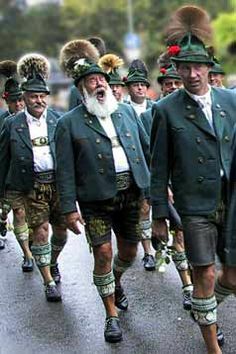 Get your lederhosen on and raise a toast in our heated tent with live music, limited beer release, and #SAUSAGEPARTY. Rain or shine, this strong beer adventure is sure to be your spring break highlight. Besides the famous Oktoberfest, Starkbierfest (“Strong Beer Festival”) is the second big German beer festival time during the year. Historically, monks brewed strong beer or Bockbier which was higher in calories and a bit stronger to substitute for food during Lenten fasting. This “Liquid Bread” and annual brewing specialties have survived the times and re-emerged at your friendly, neighborhood Brewing Company. So join us at this year’s “little Oktoberfest” on Saturday, April 6th in our parking lot for amazing beverages, food and music. We have some special wieners for you! Try our delicious Michigan brats made exclusively for STARKBIERFEST! Fontanini Italian Sausage with sauteed peppers, onion, and marinara sauce on brat bun. Currywurst Little town bratwurst, curry ketchup, peppers and onion on brat bun. Brewmaster Dinner April 11th – seating very limited. Details HERE. * limited quantities of aged & casked beers. https://csbrew.com/wp-content/uploads/2017/05/CSBrew-logo.png 0 0 CSBrew https://csbrew.com/wp-content/uploads/2017/05/CSBrew-logo.png CSBrew2019-02-20 16:00:132019-03-29 11:42:38Starkbierfest! We are CLOSED for lunch service on Tuesday, February 19th. We will reopen to the public at 3 p.m. for dinner service and TRIVIA. Ready to push the pace? 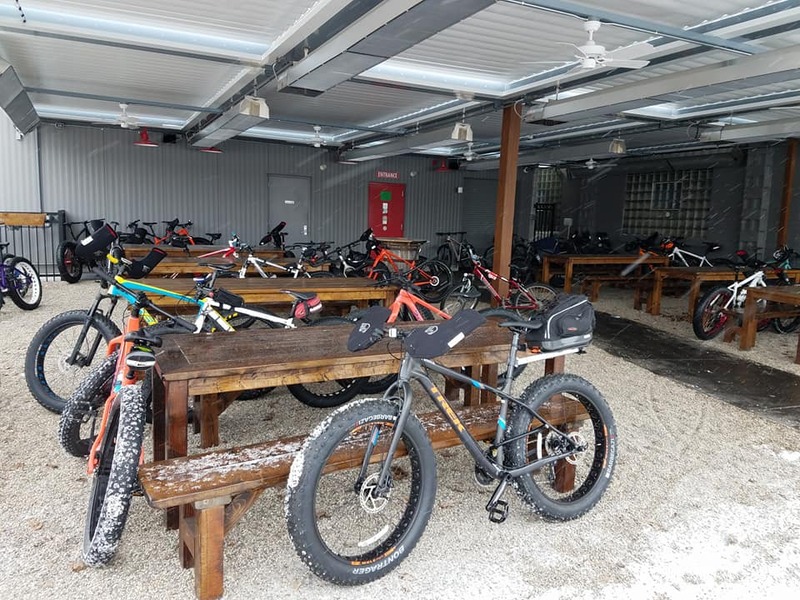 Try our training group ride with a 28-36 mile gravel ride for fat tire, mountain, gravel, or cx bikes. Speed Merchants will lead you on a 1.5-2 hour ride and increase to 2-2.5 hours as more daylight alows. The pace will be a min of 16 mph. Perfect for Ore to Shore and Lowell 50 enthusiasts. At the end we’ll meet up at the brewery. 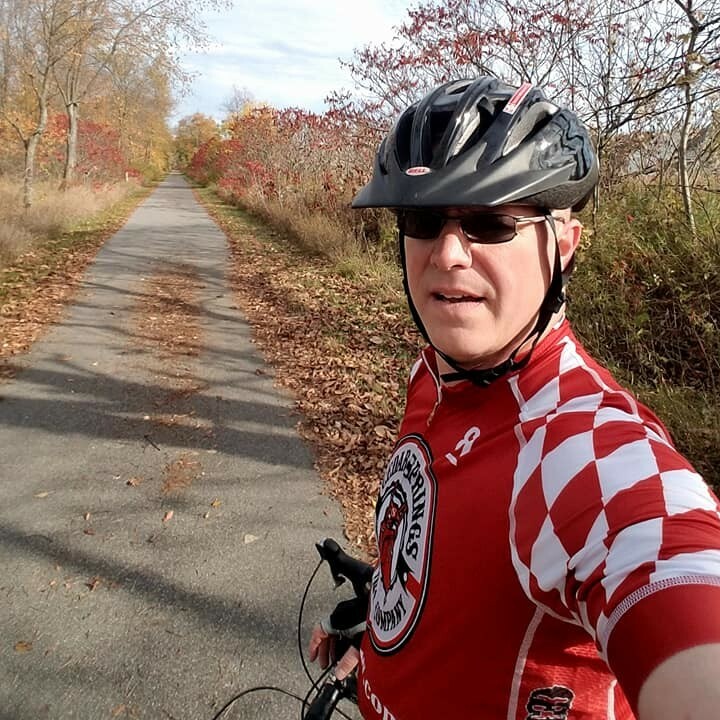 For those who like a more leisurely pace, a family friendly group will embark on a shorter paved ride on the White Pine Trail. Helmets required. Spare tube, bike pumps, and Strava app recommended. 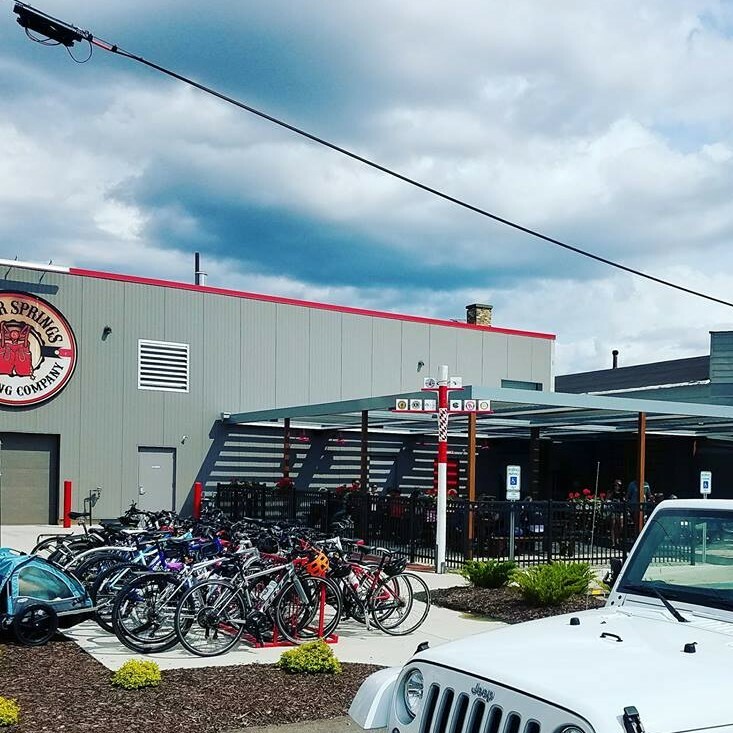 All good rides end with a toast with friends at your your friendly, neighborhood brewery. Cyclists receive $2 off appetizers or refuel with Chef’s “Radfahrer Special” a power packed meal for radfaherers (cyclists). E-mail events(at)csbrew.com for additional information. We’re thrilled to announce our long-awaited tour of Bavaria, in southern Germany, in May of 2018. BayernTrips is simply the best tour operator we could partner with, as owners, Scott & Vonia Stephens, are Michigan natives who live and guide from their Munich home. This trip will be guided in English by the BayernTrips team, as Scott is a Diplom Bier-Sommelier along with Cedar Springs Brewing Director of Happiness, Dave Ringler. We will visit many “famous” beer and tourist destinations, along with lesser-known breweries and friends who have inspired the menu and award-winning beers brewed at Cedar Springs. Upon meeting in Munich, your entire trip, including meals, transportation, accommodations and starter beverages are all included. This is truly the trip of a lifetime! Reservations are now being accepted as this trip is limited to a maximum of 30 participants. 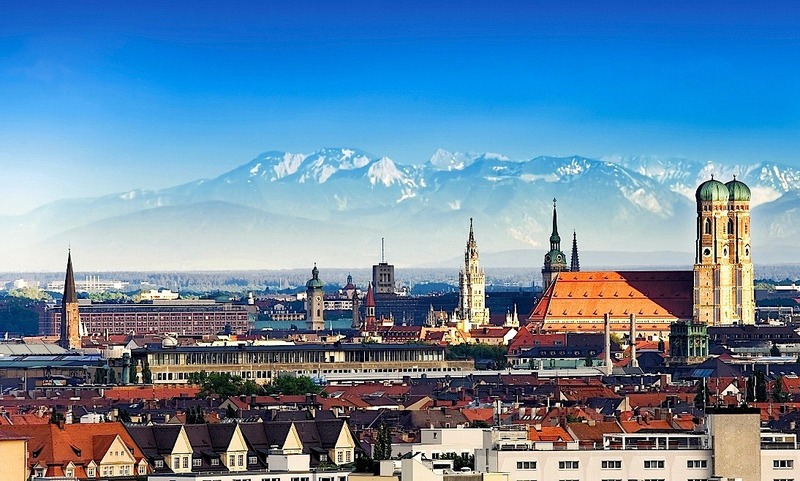 Trip departs Munich on Saturday, May 12, 2018, and returns to Munich on Sunday, May 20, 2018 (with an optional add-on travel day). UPDATE (1.Nov): As of now, 5 spots remain (2 double rooms, 1 single). A slideshow of previous trips, with things you may see, is available HERE. CEDAR SPRINGS, MI – August 25, 2017 The World Beer Awards announced August 10 that Cedar Springs Brewing Company took three “Best in the U.S.” titles in the international competition. The awards were for their Küsterer Original Weissbier, named “Best Bavarian Hefeweiss” in the U.S., Küsterer Salzburger Märzen, named “Best Seasonal German Pale” in the U.S. and Küsterer Weizenbock, named “Best Strong Wheat Beer” in the U.S. The World Beer Awards are a global competition selecting the “very best in all internationally recognized styles.” Judges from around the world tasted 1900 entries from 36 countries. Fermented Yoga in the Biergarten! Join us on a Tuesday evening for our firstFermented Yoga in the Biergarten with MVP Sports Clubs professional instructor, Danielle Young! Registration and set up will begin at 6:30pm and class begins at 7, followed by the beverage of your choice around 8. Open to the first 30 guests aged 21+ only. https://csbrew.com/wp-content/uploads/2017/05/CSBrew-logo.png 0 0 CSBrew https://csbrew.com/wp-content/uploads/2017/05/CSBrew-logo.png CSBrew2017-07-19 18:23:162017-07-19 18:23:36Fermented Yoga in the Biergarten!